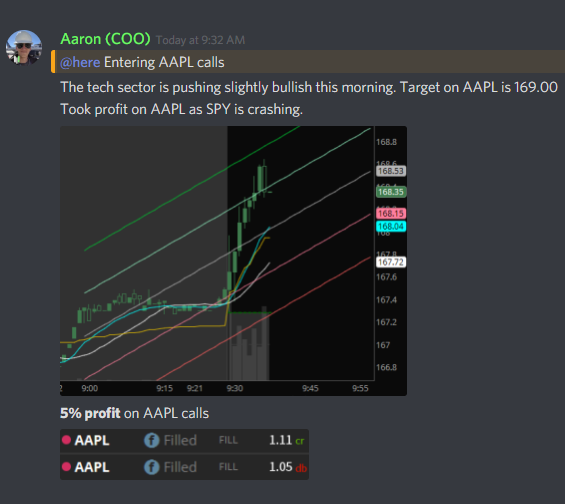 5% profit on AAPL call options!! Multiple players took entries on this AAPL alert at wingtrades.com! Join us tomorrow for our next top play!